The clutch release bearing on the Fordson Dexta ( Ford Dexter ) is pre-lubricated and so should not require any maintenance during servicing. It may, however, require replacement if it does not run smoothly, there is excessive sideways movement or it is loose on the hub. 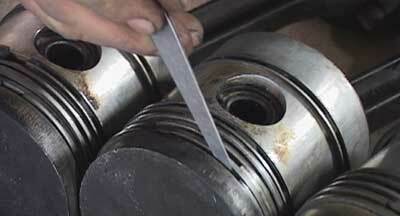 If the bearing is in good condition, and as it has been pre-lubricated, it should not be cleaned in solvent. 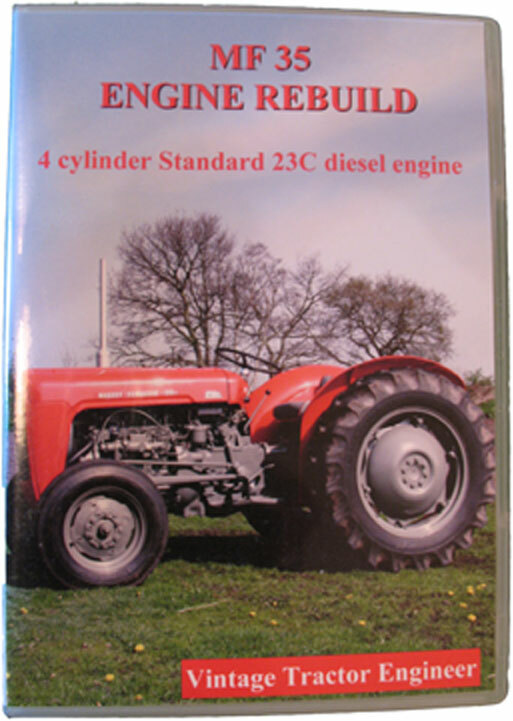 A single clutch is fitted to tractors with the standard power take off, whilst there is a double clutch fitted to tractors with the ‘live’ power take off. When replacing the double clutch release bearing follow the same instructions as for the single clutch, other than to bear in mind that a spring retaining clip fastens the clutch release rod clevis pin and this must be replaced upon re-assembly. In order to replace the release bearing follow these instructions. Separate the engine from the transmission. Disconnect the clutch release rod from the release arm by removing the split pin and clevis pin. Lift the inner end of the return spring away from the clutch fork, rotate the fork and withdraw the release bearing and hub assembly. Remove the release bearing from the hub. When fitting the new release bearing, ensure that the thrust face is facing outwards. Pack the recess in the release hub bore with an extreme pressure high melting point grease. Slide the release bearing and hub assembly into position whilst engaging the fork with the slotted arms of the hub. Rotate the fork to the rear and, with the hooked end of the return spring located around the lug cast in the housing, engage the inner end of the spring with the front face of the small projection on the side of the fork. 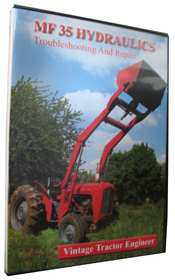 This procedure has been adapted from the Fordson Dexta workshop manual.